Ceiling Fan Nordic Chrome brushed 107 cm / 42" with lighting by Beacon Ceiling fans for domestic and professional environments Ceiling fans with lights 100 - 119 cm / 40" - 47"
The colour combination of the brushed chome housing and the dark turnable blades with dual effect appears especially elegant and aesthetic on this ceiling fan. 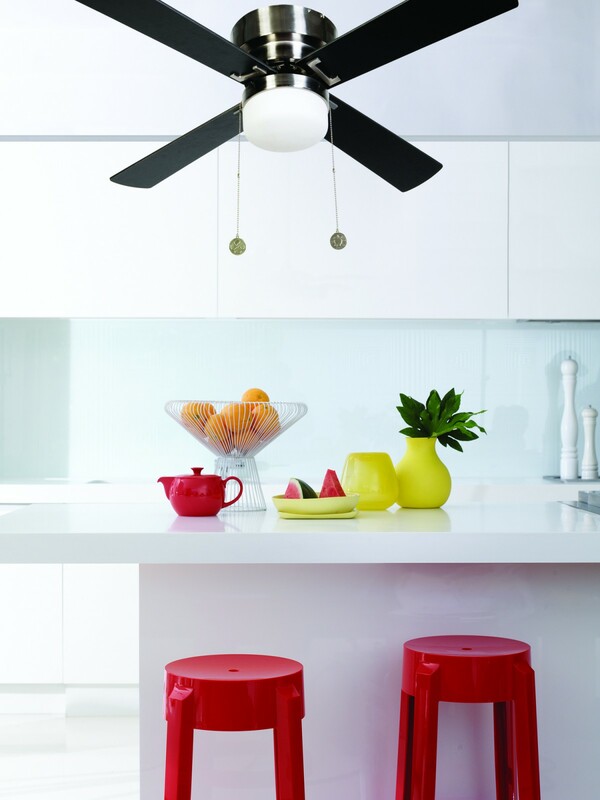 With a diameter of 107 cm / 42" this fan is predominantly thought for use in spaces with up to 20 m². Its flat housing shape also makes it recommendable for use in premises with low ceilings. 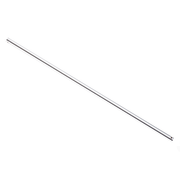 Its installation is also possible for the inexperienced without any problem. 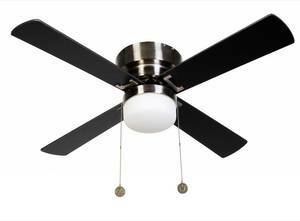 In an all traditional manner this ceiling fan can be controlled with a pull cord only. Distance ceiling / blades: ca. 16 cm / 6.3"
Distance ceiling / bottom of housing: ca. 26 cm / 10.2"